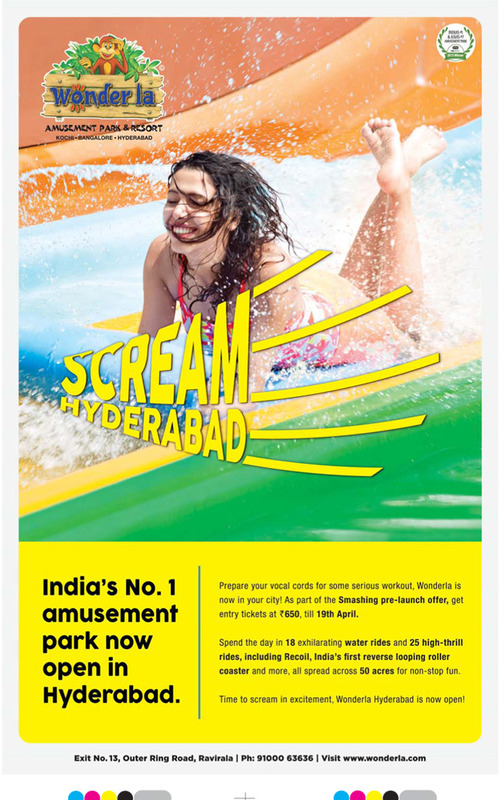 Time to Scream in excitement, Wonderla Hyderabad is now Open. India's No 1 Amusement park - Wonderla - Now open in Hyderabad. Smashing pre-launch offer, get entry tickets at Rs 650, till 19th April. Spend the day in 18 exhilarating water rides and 25 high - thrill rides, including Recoll, India's first reverse looping roller coaster and more, all spread across 50 acres for non-stop fun.